Governor of Poker 3 - Multiplayer Play poker for FREE now! Governor of Poker 3 is free for download in the App store and on Google Play. 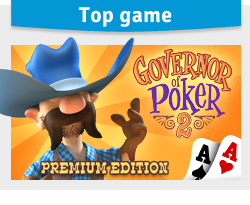 Governor of Poker 2 Premium Edition Prove that poker is all about skill in this exciting Wild West poker adventure! Youda Marina Build the most luxury harbor, run it and manage the most exotic problems.